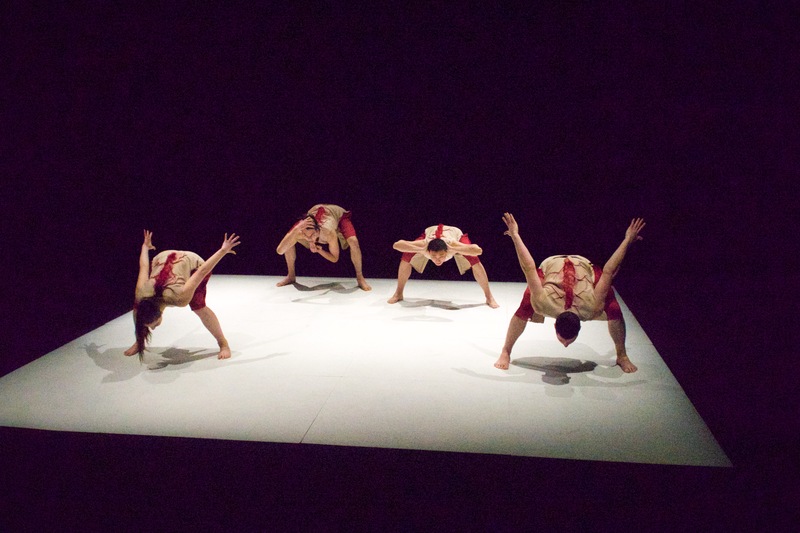 The Human Project, was a collaborative piece of physical theatre devised between the performers and creative team. The piece aimed ‘splice together body parts, personalities, languages and music in a sensory explosion to design the perfect human. The design evolved throughout the intense 4 week development period. 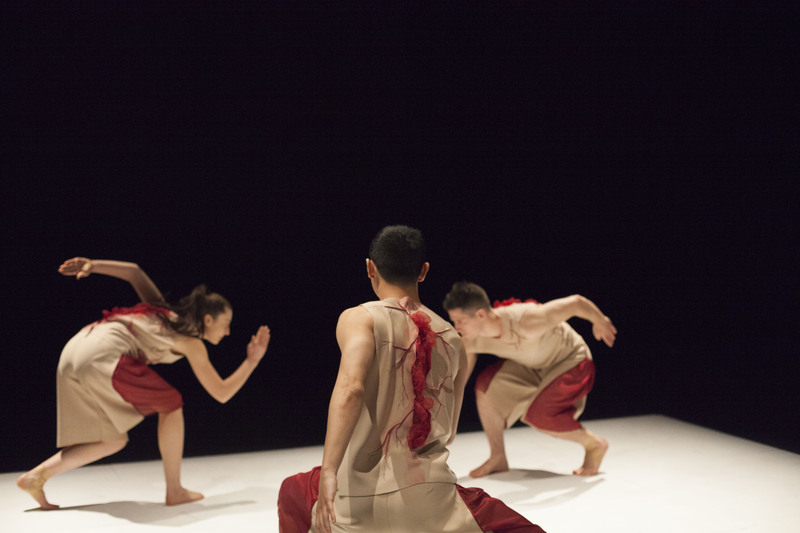 The final design allowed a centre of focus for the four performers to complete their intense, meticulous choreography with costumes that referenced elements of the human body. The spine-like seam down the back of the performers was created using shibori technique, and the vein-like textures were pin tucked and hand painted and neoprene fabric. These ‘second skin’ costumes juxtaposed the clean, harsh light of a simple white square that framed the piece. Warm light was hit directly onto the square which allowed the remaining black space to disappear and create an eerie loss of perception. Candice is an emerging production designer and illustrator working across performing art forms and event design. She graduated with first class honours from the Victorian College of the Arts (VCA) in 2015 where she exhibited at the Beijing International Biennale 2014 (International Stage Design Students’ Works Exchange), and participated in the 2016 Prague Quadrennial. In 2015 she was awarded the Cassidy Bequest Scholarship for excellence and completed Internships with Pip Runcimann and Jonathon Oxlade at the State Theatre Company of South Australia. She made her professional debut in 2016 with the Victorian Opera Company as production designer on 'Cinderella' and 'The Pied Piper' and as costume designer on Gertrude Stein’s 'Four Saints in Three Acts'. She will continue with the company in 2017 as a Developing Artist, where she will design 'The Princess and the Pea' and 'The Snow Queen' and receive mentorship from leading Australian designers.